As you know I am experienced road-network and sign (re)builder. Although project is at the beginning, I think that it is serious. Why? I am fanatic of roads. I like beautiful roads through canyons with tunnels. My country, Serbia, have many such roads. If we look at highways, I like mountainous highways with many tunnels and bridges, like highway Livorno - Nice, or Thessaloniki - Igumenitsa. Next type of highways which I like is wide highways (at least 4+4) with complex interchanges. I really enjoy to look at street view or google Earth. It is naturally that I want to drive across them. Los Angeles is maybe the best choice. 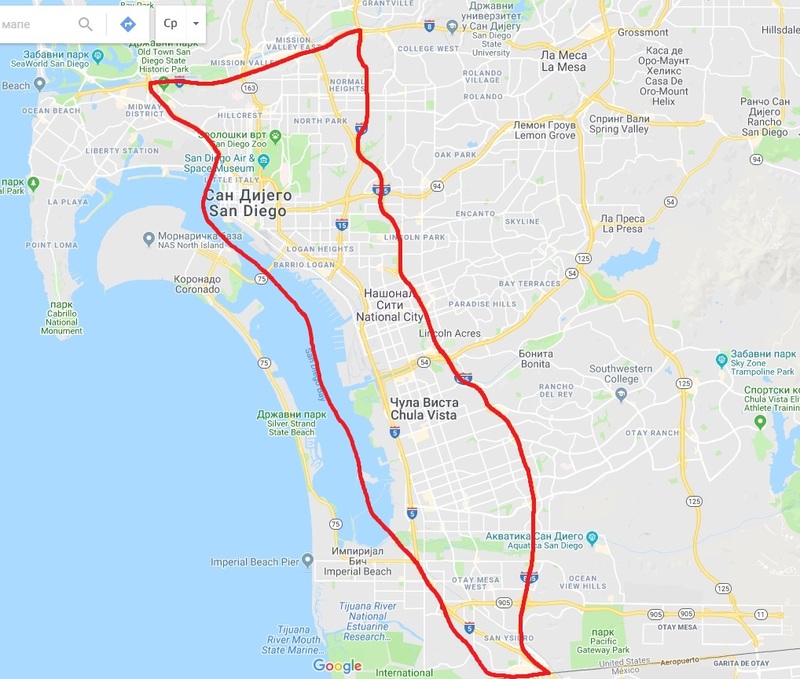 I started with San Diego because it isn't too far, I-5 has at least 4+4 lanes all way between cities (also I-15), city is much smaller and it has enough wide highways and complex interchanges. I said that project is serious. As number of lanes is important for full experience, I must make many prefabs and streets. I know that I want too much. Considering all writed above, my focus is on road network and I would like to do good landscape. Then details, includig precise signage, must be omitted, but maybe not if I will get help. 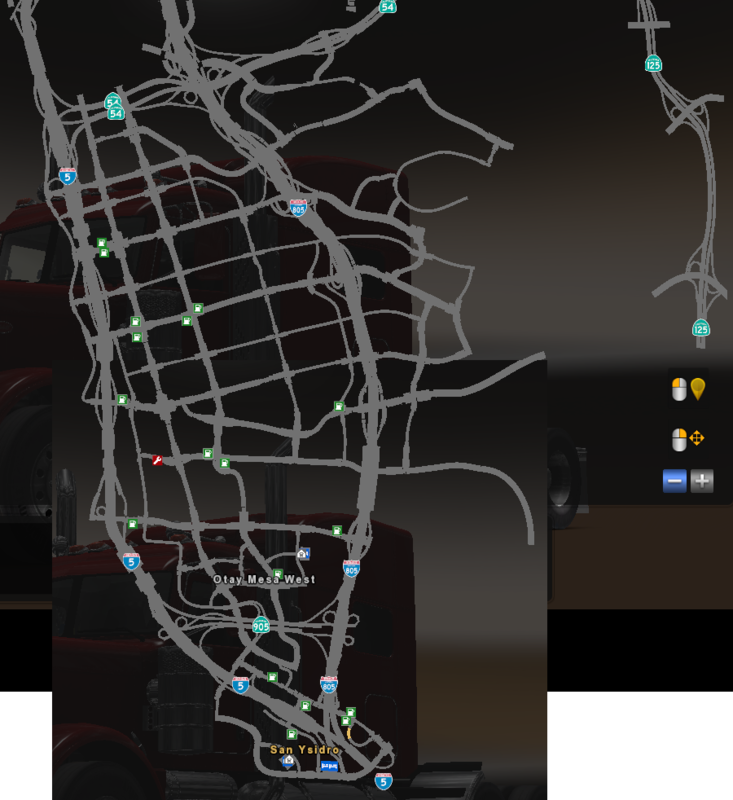 So, goal of this map isn't high quality, but very realistic road network, which lacks in both ATS and ETS. As project is in very early stage, I won't post anything about progress. I created thread only because I am looking for help. I need people who will add details to map because I don't have time. I also need landscapers for faster progress. However, you can find news about my prefabs here: https://forum.scssoft.com/viewtopic.php ... 64#p887164. 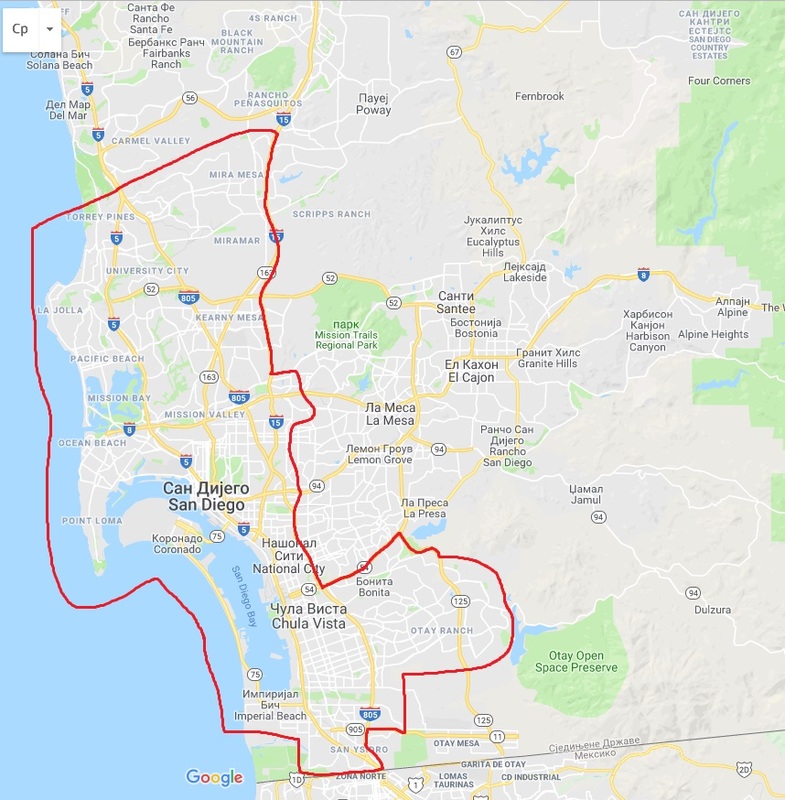 I need suggestions for companies in south-western San Diego (between Mexico, I-5, I-8, CA 15 and I-805. It is ideal to have at least one company in each city block between bigger streets (if block is long, than more than 1 company). For all suggestions please tell which in-game company I can place and exact places. I need too much time to make crossroad so I want to waste minimal time for placing companies. I also need suggestions for truck dealers, services, agrencies and gas stations. Last edited by brainiac on 30 Oct 2018 00:33, edited 1 time in total. Nice! Good luck with your project! You want to do something that was like Project West for base map right? Holy fu... That's amazing! I'm looking forward to it! That will be very slow. I am alone and I must make too many prefabs. I almost finished freeway prefabs and I even didn't start street prefabs. This is still only a road map with terrain (and of course, all gameplay objects) because I am still alone. No details including navigation signs, except I want to put buildings into Downtown. I reached CA 54 and it took me about 2 months. Don't hope for a release this year. I hope that I will get help so the map will have better quality.